Fancy Balls, midnight curfew, pumpkins and magic slippers? 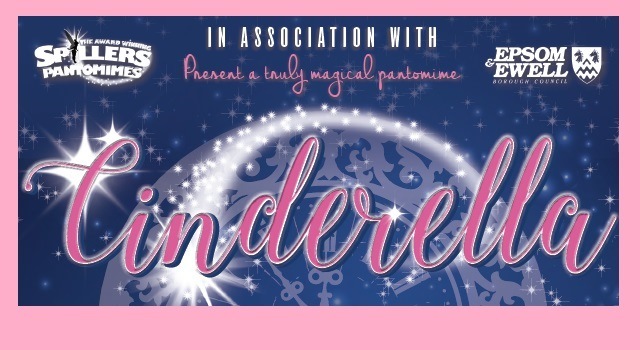 Spillers will be returning after the record breaking Aladdin in 2016, so if you like all-singing, all-dancing, laugh-out-loud silliness with a big helping of festive mayhem, then Cinderella promises to be the perfect fit and we can guarantee it will be the audience who’ll really be having a ball! *This year we have a dedicated relaxed performance of Cinderella on Tue 2nd Jan 2018 at 11am. A relaxed performance is intended specifically to be sensitive to and accepting of audience members who may benefit from a more relaxed environment, including (but not limited to) those on the autistic spectrum and anyone with sensory, communication or learning difficulties where loud noises and low level lighting may cause discomfort. Spillers and The Epsom Playhouse would like to say a big thank you to our show sponsors this year: Hobbledown, Bills Epsom, Toy Barnhaus and Hatties Sweet Shop.